Sure, you could go to a haunted house or take a hay ride at your local pumpkin patch to get into the Halloween spirit. Or you could take it a step further and make a visit to one (or all) of the spookiest towns on the planet. Mexico is known as a place to find a good thrill. It's the land of margaritas, surfing, beautiful beaches, haunted dolls ... yeah, you see where this is going. As legend in Xochimilco has it, after little girl drowned in one of the canals on this man-made island over 50 years ago, her spirit haunted the man who found her body. Days after island resident Julian Barrera discovered the girl, the story goes, he found a doll and, assuming it was hers, hung it up on a nearby tree. (Some versions of the tale say it was because Julian felt guilty at not being able to save her, others say it was an attempt to make the girl's spirit happy.) 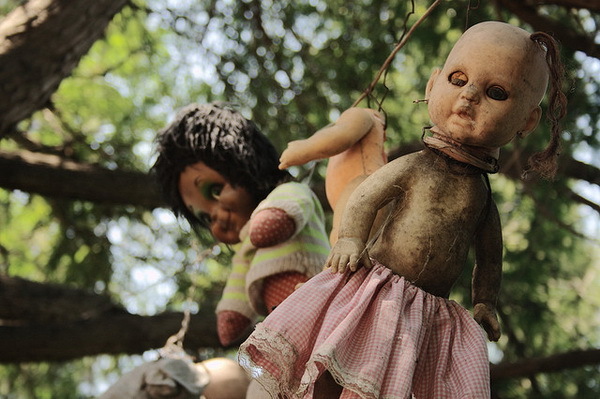 Julian began to hear the girl whispering and calling to him, descended into madness, and retreated into the woods, where he continued to hang dolls by the hundreds ... that is until his body was found in 2001. He was discovered by his nephew in the same spot where the girl had died. (The. Same. Spot!) Now, tourist flock to the island (Isla de las Muñecas) where they continue to hang more dolls — making it even creepier than it was before. Some even report seeing doll eyes following them and hearing childish giggles. Scary is in the name of this abandoned, Midwestern village. As legend would have it, this town (once called Boston Mills) is home to not one but three majorly freaky ghost stories. The first involves a local church, which is said to have been taken over by a group of satanists who turned its cross upside-down. Some claim to have seen a red glow emanating from the basement, allegedly embers from an old man who guards the church. The second story involves an abandoned bus in which all the school children on board were allegedly murdered by an escaped mental patient. The third creepy story involves the legend of a mutant snake called “Peninsula Python” which was created after a chemical spill occurred. Psyched to go there, yet? While there have been many attempts to refute these stories, the place is still creepy has Hell(town) and only the bravest souls dare to visit this today. The legendary town of Salem is one of those legit scary places because you learned about in U.S. history class. Salem Witch Trials? Bueller? Ok, we'll give you a refresher. From 1692 to 1693, more than 200 women in the town of Salem were accused of practicing witchcraft — a pretty big no-no back in those puritanical days — and 20 were ultimately executed. The spirits of the killed are said to still roam the streets today — something the city embraces by hosting a month-long Halloween celebration of parades, costume balls and haunted houses. 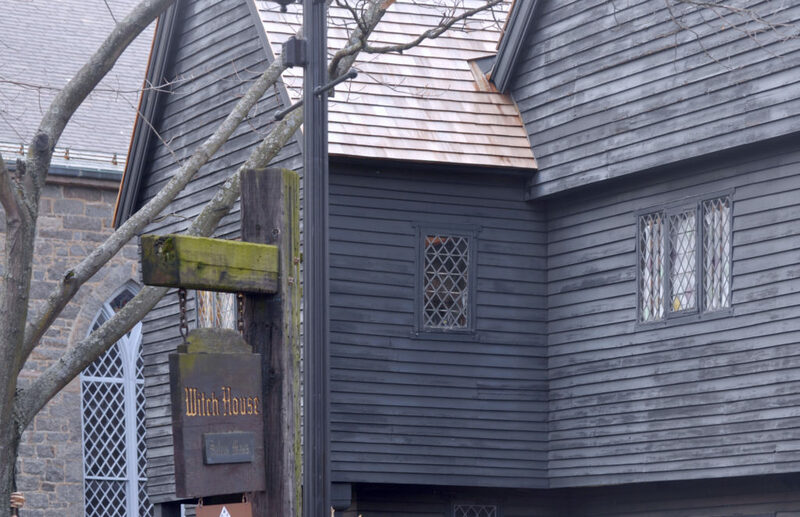 Salem even offers tours of its still-standing spooky spots, including The Old Burying Point Cemetery, Old Town Hall and The Joshua Ward House. Fun times. This historical U.S. town is famous for more than the address Abraham Lincoln gave at the end of the Civil War. Though The Union was declared victorious after a three-day bloodbath, 50,000 soldiers (and 5,000 horses) were left dead — and many of the 3.4 million people that visit each year have reported hearing their cries. Sightings of apparitions wandering through the fields and ghosts that frequent hospital and hotels are also common. There’s even a 90-minute Ghost Train you can take to the battle field ... if you're ever in the mood for some historical ghost hunting of your own. Don't let the breathtaking views of Mt. Fuji fool you. Walking the winding, twisting path through “Suicide Forest” — named for the 500 people who've taken own lives there since the 1950’s — is not your average tourist destination. 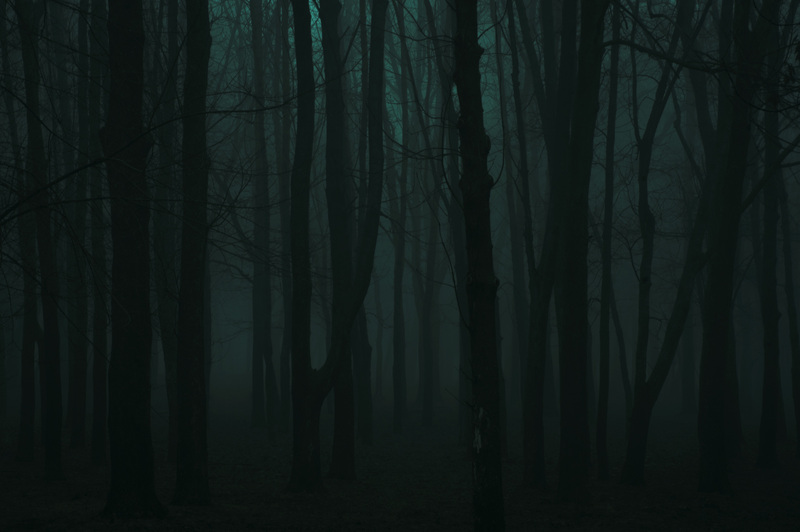 The forest is said to be haunted by the tormented souls of the dead (or yurei) and many who've dared to walk through claim that ghosts attempted to lure visitors off the path in the hopes they’ll get lost. If that's not enough to scare you way, the path itself is quite dangerous to walk as the trees’ roots create a treacherous trek where it's easy to trip and fall. In the middle of nowhere. Did we mention there's no cell phone signal? The legend of the headless horseman — said to be the ghost of a soldier who had his head shot off by a stray cannonball during the American Revolutionary War — has inspired the famous Washington Irving book The Legend of Sleepy Hollow, a movie of the same name starring Johnny Depp and a current Fox drama. Never heard of it? In Irving's book, the fictional Ichabod Crane was chased to his presumed death by the Headless Horseman, forever solidifying the Tarrytown, NY village of Sleepy Hollow as a haunted destination. Some maintain they've seen the ghost of the Revolutionary soldier and his severed head while others have reported sightings of Washington Irving. Not convinced? In 2005, the British ghost hunter Dean James Maynard named the town the most haunted place in the world. Sounds pretty official to us. Known as "the world's most haunted island," this piece of property was sold off by cash-strapped Italy in 2014. And the buyer got a deep discount — mainly due to the island's horrific and chilling past. In the 1920s, a mental hospital opened here and, as local legend would have it, a deranged doctor conducted experiments on the patients before committing suicide by jumping out of the asylum's bell tower. There's also an 18-acre plot, which was once a mass grave where people who had died of the plague were held until they were burned.